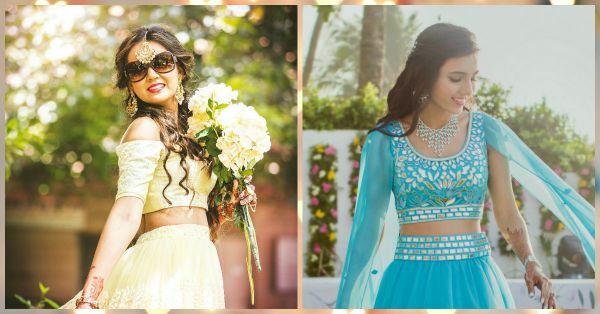 10 Gorgeous Bridal Blouse Designs To Inspire Your Shaadi Style! 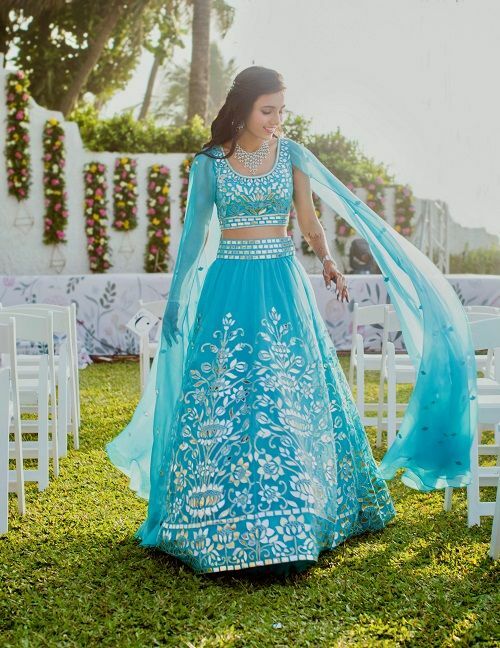 Finalising the lehenga is one task, the second task comes in when you have to decide the blouse style. After all, your blouse makes a hell lot of difference to your final look. A plunging neckline, the stylish cold shoulder or the basic round neck with short sleeves...there is so much you can do. 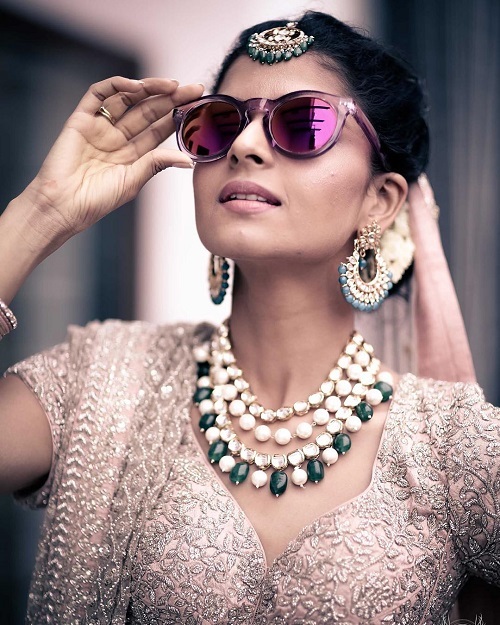 And guess what, we’ve found you 10 different bridal inspirations that you just have to check out. These blouse designs are the most stunning ever! 1. A wrap & a knot! 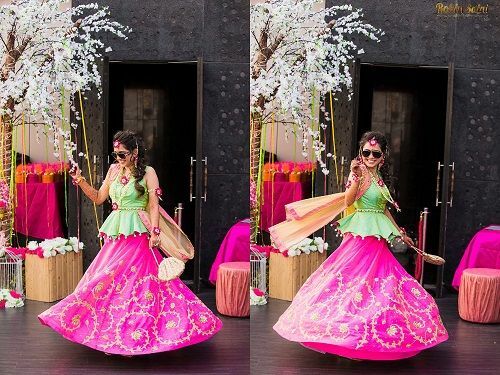 Image: WeddingNama Masoom Minawala of Miss Style Fiesta wore an AM:PM outfit for her holi-themed cocktail function and we absolutely love the blouse. A front wrap blouse, this one features a tie back bow. So fresh and so fun! Image: Cupcake Productions on Instagram Bride Saloni wore a Shantanu & Nikhil outfit and the blouse sure does lend her an absolute royal look. Full sleeves with a high collar, this style is great for your reception or cocktail. Also, a great pick for winter weddings. Image: WeddingNama on Instagram God, such a fab blouse! The inverted ‘V’ cut looks every bit stylish and is a great design for the bride who likes to keep it different and offbeat. We’re totally crushing on this one, what about you?! Image: Fotowalle on Instagram Blogger bride Urvashi from The Right Shade Of Red wore an Anita Dongre lehenga and the blouse is just out of the world! A very slight boat neck in the front and a barely there back, we are loving this. Image: Morvi Images on Instagram The cold shoulder style has become so popular and 2017 brides totally need to try this. Though here it is a bridesmaid wearing the cold shoulder, we swear, it will look just as stunning on the bride herself. 6. Cape sleeves look FAB! 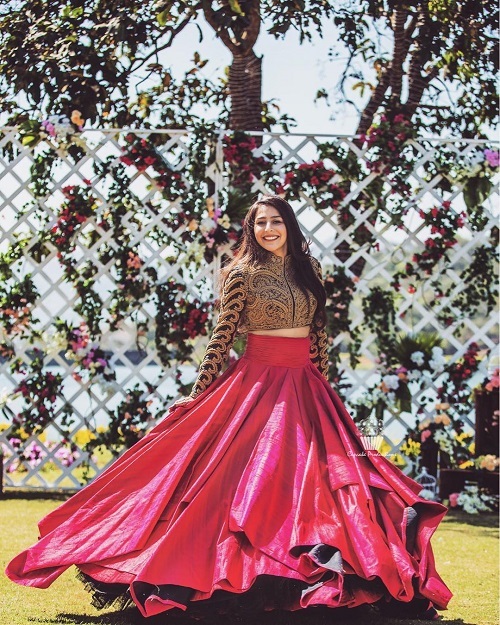 Image: Arjun Menon Miss Style Fiesta stunned us yet again in an Abu Jani and Sandeep Khosla lehenga with a cape sleeves blouse. The exaggerated sleeves are not just high on style but also a great option when you want to do away with the dupatta. 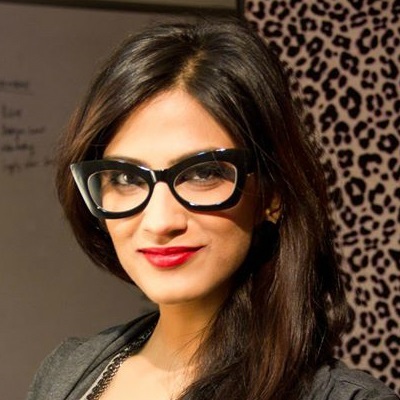 Image: Gautam Khullar Photography on Instagram Off-shoulders look so chic and so edgy. For the bride who does not want a traditional look for her wedding, an off-shoulder blouse is a great option. 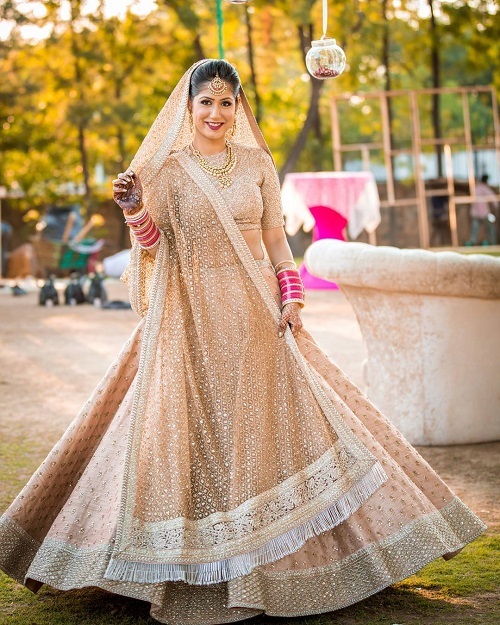 We love the bride’s pretty yellow lehenga that she chose for a day function. Image: Robin Saini Photography This is such a fun look for the mehendi! Bride Sonam wore a vibrant and colourful lehenga for her mehendi and the blouse is just the cutest ever. Peplums are great for the girl who wants a fashionable and chilled out look. Image: Morvi Images on Instagram A sweetheart neckline always looks extremely elegant and this blouse is proof. An ideal choice for your wedding day, sweetheart neckline gives the illusion of an elongated neck and looks oh-so-gorgeous. Image: Gautam Khullar Photography on Instagram Nothing looks more timeless than a high round neckline and elbow sleeves. 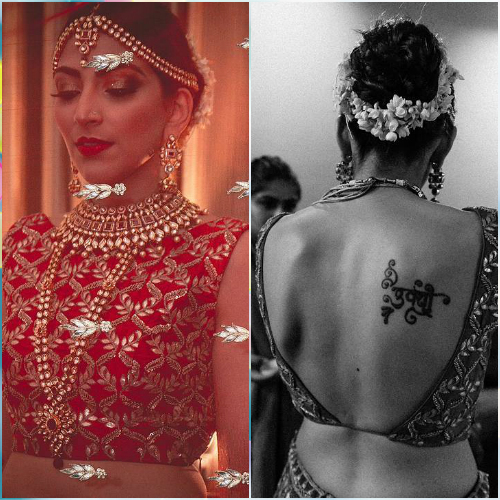 This Sabyasachi bride redefines elegance in her stunning bridal look. A perfect pick for your D-day.